Food premiered at the Traverse Theatre during the Edinburgh Festival, where it won our company a second Fringe First award and a string of four-star reviews. 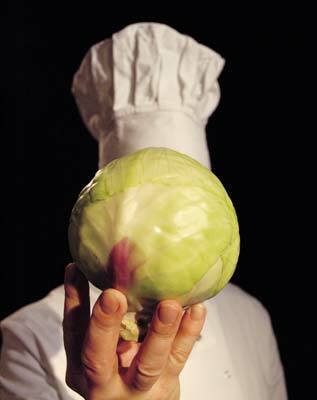 Set in the turbulent world of celebrity chefs, Food is a journey inside a man’s mind. It explores the compulsive nature of perfectionism and the sacrifices we make to realise our dreams. When you aim high, you've only got further to fall. The first production of Food was supported by The Peggy Ramsay Foundation, New Greenham Arts, Sparknow Ltd and Living Pictures. 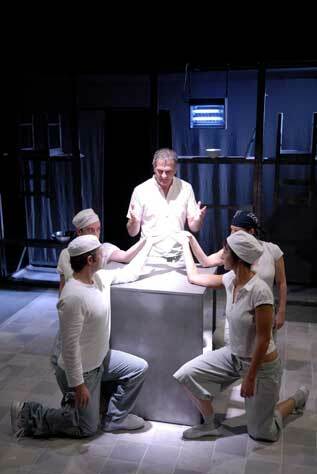 The development of Food was supported by Battersea Arts Centre, Traverse Theatre, Young Vic Theatre Company, The Actors Centre, and Arts Council England. Both of our plays Food and 100 have been published by Nick Hern Books and can be purchased via the publisher’s website.